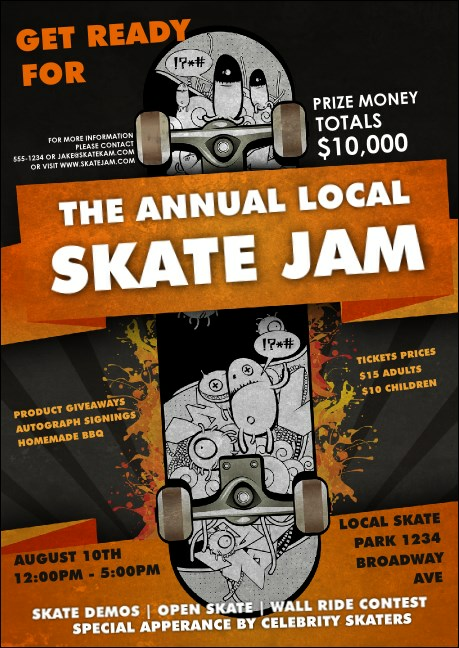 Add a trick to your event promotions by ordering the Skateboarding Postcard. Printed on high quality card stock, this orange, grey, and black template features a specially-designed board. Hand out to potential guests or leave with supporting businesses for extra promotions. Browse TicketPrinting.com's gallery for more dynamic designs!